ONE of the key purpose of tertiary education today is to generate holistic graduates who can compete globally and be ready take on challenges being brought about by the technological development of the Industrial Revolution 4.0 (IR 4.0) - which is affecting the jobsphere by creating new knowledge and skills requirement. 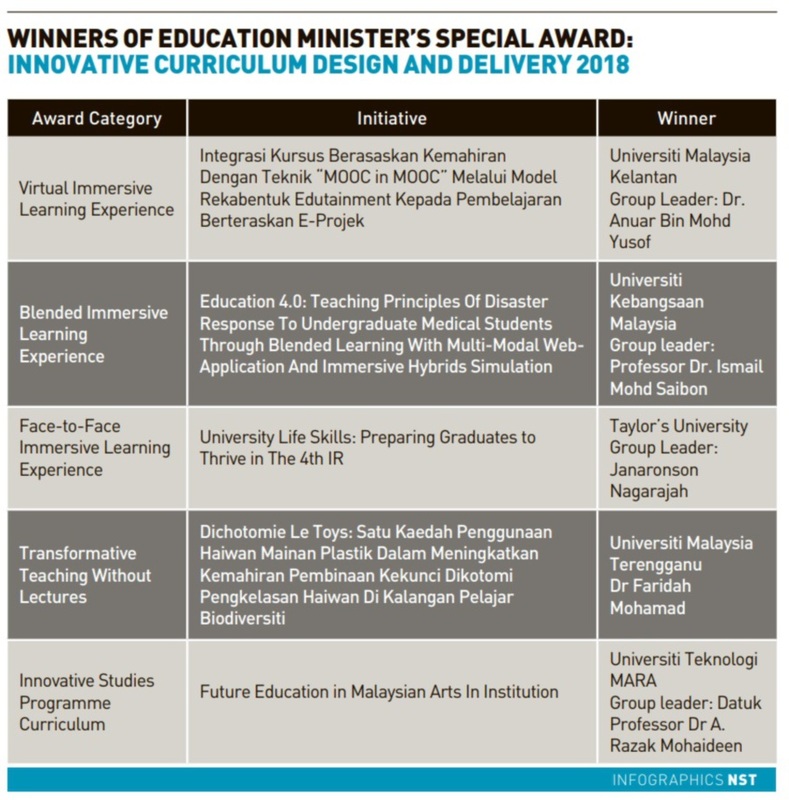 Education Minister Dr Mazlee Malik at the Education Minister's Special Award Ceremony: Innovative Curriculum Design and Delivery 2018 (AKRI 2018) last month said lecturers should be dynamic and adapt to various changes and yet hold on to the basic concepts of higher education. "Students nowadays who are from Generation Z (people born from the mid-1990s to the early 2000s) are different from those in other generations. They want to be involved, and have freedom to speak their own mind in their learning experience. "As an educator, we need to create that opportunity for them to unleash their creative potential, skills and innovation. We need to design the learning activities so that students able to identify their capabilities, strengths and weaknesses and those will not happen if only learning through lectures in a conventional classroom setting. 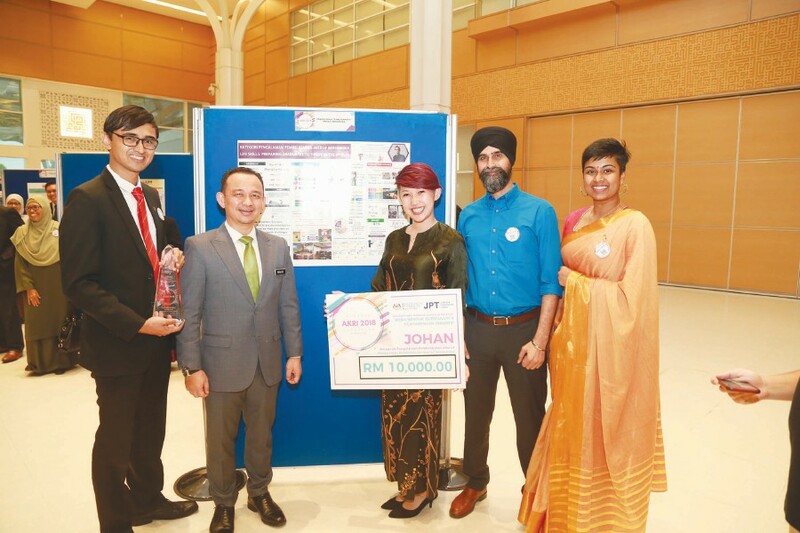 "We should take the advantages of the great things technology can bring that may not have been possible before," said the recipient for Teaching award under the Pure Science Cluster category at the 12th National Academic Awards (AAN) last year. 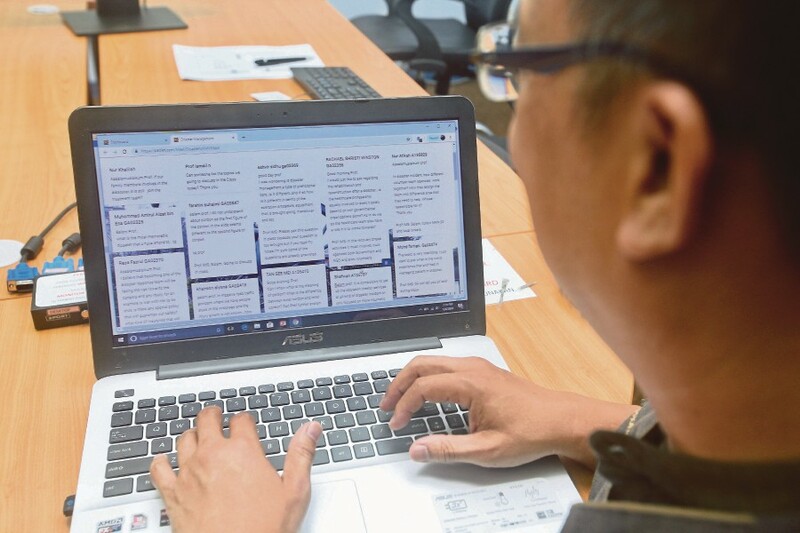 "So using flipped classroom where learners can do tasks inside and outside of classroom via technology and the use of various learning tools can assist teachers to provide engaging learning experiences among the learners," she said. "Thus, in order to get them on board in the classroom, teachers in the university level need to be equipped with the know-how of integrating technology and interactive learning in their classroom," she said. "Hopefully make universities understand and place greater emphasis on the importance of ensuring that academicians become motivated to place innovative teaching as central in their teaching and learning processes," she said. "While ensuring that the learning outcomes of the courses are achieved, there is also an effort made to prepare them with the obstacles and challenges that they may face in the real world contexts of teaching. "This is done through activities like solving cases provided which enable students to relate theory into practice in a meaningful way. That way it helps students to prepare themselves before they set foot into the real world," she said. "I am humbled and pleased when getting feedback from past students on how tasks that they did and knowledge as well as skills they have acquired when attending the class as students were relevant and helpful when they became teachers. The received feedbacks motivate me to do more even if it is not easy. After all mediating learning is never easy," said Fauziah. Asked about her teaching strategies in teaching pure sciences subject, UPM's microbiology lecturer Associate Professor Dr Wan Zuhainis Saad said it's all about curiosity, exploration, and relationship. "We need to deliver content in a manner that will spike students curiosity, instil their interest and allow them to see things differently. I practice BYOD (Bring Your Own Device). Students will come in with their own gadgets, smartphones, laptops, iPads. hey will come in prepared because they know they need to participate in activities prepared for them by me or their classmates. I don't have to worry about attendance because they won't miss my classes. It is an active learning environment," she said. "I will have activities for each lecture, lots of formative assessment, interaction, participation, engagement and group work. Students have the freedom to throw out ideas and suggestions, interactive and engaged. In the words of Einstein, I don't teach my students, I just attempt to create the environment in which they can learn," she said. "You'll be amazed on what they can do. I use Project Oriented Based Learning (POBL). A project is designed for the students encompass the content for the whole semester. We will discuss progress, problems, sharing ideas on the project. Usually they are big events such as Mini Showcase of Microbial Ecology where students were the organising Committee. and Virtual Microbes, a virtual peer-learning project to learn microbes with students from eight ifferent universities, including Lafayett College, USA. It not only teaches others, students learn best by doing and experiential learning," she said. "As a 21stCentury educator, a learning designer, we have to be ready to learn, unlearn and relearn. Learning takes place in many different circumstances and contexts and learning is process that never ends. Our enthusiasms, passion and excitement for learning should be contagious and infectious, and everyone must be infected," Wan Zuhainis said. Taylor's University Face-to-Face Immersive Learning Experience project, which won an award in the category at the Education Minister's Special Award Ceremony: Innovative Curriculum Design and Delivery 2018 (AKRI 2018) last December, goes back to 2014 when Taylor’s University launched the Shine Award programme to enable its students to develop their life skills aptitude, which would see them improve on their lifelong life skills and emotional wellbeing capabilities. It is actually the implementation of two subjects - Life Skills for Success and Well-Being and Millennials in Malaysia: Team Dynamics and Relationship Management - which is targeted to help students to focus on developing themselves to be emotionally intelligent and be able to interact with others. "This innovative approach to education was the brainchild of the Deputy Vice-Chancellor and Chief Academic Officer, Professor Dr Pradeep Nair who saw the merit in introducing this after talking to industry leaders who shared about how they also assess emotional intelligence when hiring graduates," said Janaronson, who is the Associate Director of Integrated Teaching and Life-long Learning Center at Taylor's (INTELLECT). "While this was first introduced on a voluntary basis, the programme was met with positive response by the students which led to the establishment of a more comprehensive framework that was introduced as part of the Taylor’s Curriculum Framework which was launched last year," said Janaronson. 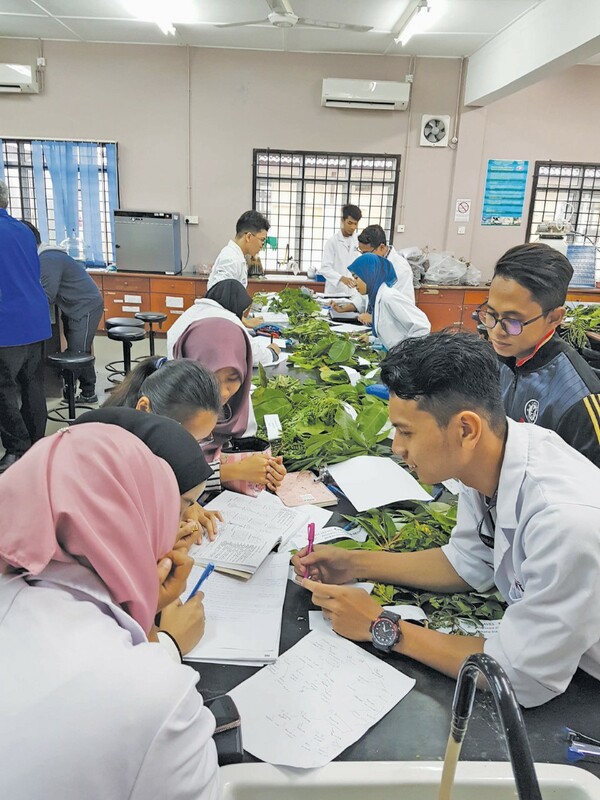 "It’s a new approach to learning and all our students in the diploma and degree programmes are enrolled for these two modules in their first year, regardless of their course of study," he said. "This is important because research has indicated that the one reality is that those in the workforce in the future will work across different teams, in different sectors and also spanning cultures," he said. he highlighted the initiative has been met with positive response, with close to 90 per cent of students involved sharing that they found the two modules helpful and provided them the platform to safely develop their emotional wellbeing in a positive manner. "Our team have also been approached by an industry partner who recognises the impact of this approach and wanted a custom-made 10 week module for their scholars," shared Janaroson. "The Life Skills modules provide a platform to the Life Skills Facilitators to constantly enhance the way they engage their students and allow the students to be future ready," Janaronosn said. "And so I thought of changing the way it is taught, but retaining all the learning outcomes. 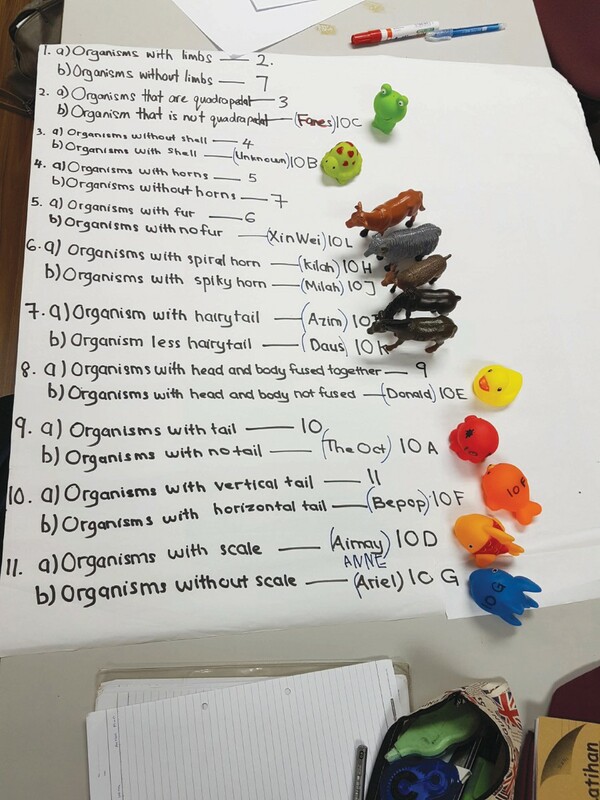 The only change I tried was the delivery of the course, from lecture based to activity based, where students took charge of their own learning by applying active learning in class," said Faridah. "This is the basic of making organism classification. I expanded this module to become the center of my teaching of the course. But instead of using those materials, I changed them to lovely coloured, cute toys of all sorts. The whole process of remodelling the module and crafting the activities took me quite sometime but it’s all worth it when comments from students were extremely encouraging," she explained. "We started this new approach in 2017, and the students are now in their final year. Spontaneous interview carried by my other colleague on some of them add more proves that they are retaining the knowledge and skills they gained from Dichotomie le Toys, and started applying them to various projects that they are working now for their final year projects including birds, bats, fish and plants. "This is precisely what we want from them, able to apply these basic skills taught previously during their study into “real job” situation, and was not happening at the rate we want before this," said Faridah. "We are working towards better teaching deliveries, especially on topics or subjects that we identify needs to be refreshed. How do we know this? We have their grades as indicators, and we have students’ comments to reflect upon each batch. That will tell us whether the students attain the intended outcomes or not," she shared. "We had one hour of lecture followed by a simulation exercise where we put students through role play on the field. The whole affair is labour intensive with 50 students undergoing the simulation physically either in the ward or an open space each time. And there are 280 students in total for the whole batch, meaning we hat to carry out this simulations five to six times each year. While this disrupts our daily operations in the faculty, there is also no guarantee students will come away with complete knowledge on the overall principles of disaster response medicine as they are stuck with only one role on only one aspect of disaster response medicine during the simulation session," said UKM Medical Centre senior consultant emergency physican Professor Dr Ismail Mohd Saiboon, who is also a healthcare simulationist educator, and deputy dean of Graduate Studies at UKM's Faculty of Medicine. For the IHS, students are exposed to a pre-recorded audio-visual trigger of an emergency - a vehicle accident or natural disaster - couple with actual role play by students taken on roles such as victims or medical personnel on stage in a lecture theatre hall. There are also students in the audience observing the whole scene. "The victims are done up in woulage which is the art of applying mock injuries for the purpose of training emergency response teams and other medical and military personnel. Those taking on the roles of medical officers will then make decision as to what action or treatment is to be taken; they apply treatment principle, apply critical thinking and decision making. "When the session is over, we perform formative assessment onsite by having students give their responses to questions on what they have seen through an audience response system. Straight away we can see their answers and interact on why they derived on the answers. Students enjoy the experience and the whole process is a good way to ensure understanding on the topic and clear the doubts straightaway," said Ismail, adding that the whole approach has proven to be highly effective in terms of teaching the topic. "VR is a good platform to learn procedural medical techniques such as intubation, putting in IV line as the experience will be objective and standard for all medical students. As it is not all medical students get to do the hands-on experience in the wards or surgery, some only get to observe. With VR and simulation this will no longer be an issue," he said.